Slip-resistant flooring is a must for most disabled bathrooms where a safe floor is a necessity due to mobility impairment. Here are your best choices. crutches will determine what type you choose. cork, which can inhibit rolling about easily. the other hand, for those who can walk alone or walk with assistance, a safe flooring choice might be cork flooring which provides good traction for safety, yet allows a person with a limited gait to be able to slide their feet or walker along without problems. The material is also very comfortable to walk on and helps to cushion falls. It really depends on your particular needs as to what is best for your particular handicapped bathroom. material can help cushion a fall, but is still firm enough to easily maneuver a wheelchair in an accessible bathroom. It is hypoallergenic and cleans very easily, with virtually no maintenance involved over time. Medical facilities and hospitals worldwide use rubber flooring because it is so versatile, yet functional for almost any type of handicapped user. Rubber flooring is available in rolls, glue down tiles, and interlocking tiles. There is both synthetic and natural flooring available, with the natural material surpassing the synthetic version (from petrochemicals) in eco friendly appeal. It is moderately expensive, but it's durability is well worth the financial investment for many people. The one negative for some people is the low odor that rubber material can emit, such as is found in gymnasiums or fitness clubs. 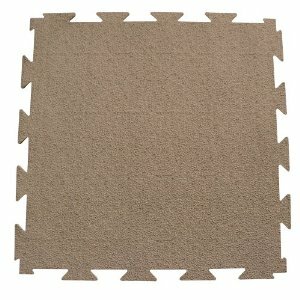 This type of material is also almost maintenance free, very durable, and can be found in a huge variety of designs and colors. Vinyl is popular for matching with home decor styles, while still retaining the important qualities of slip-resistance and easy to walk or roll over. Vinyl flooring is cost effective and is often the best choice for those who don't want to spend a huge amount on safe disability flooring. It is produced in rolls or tiles and can be glued down quite easily. 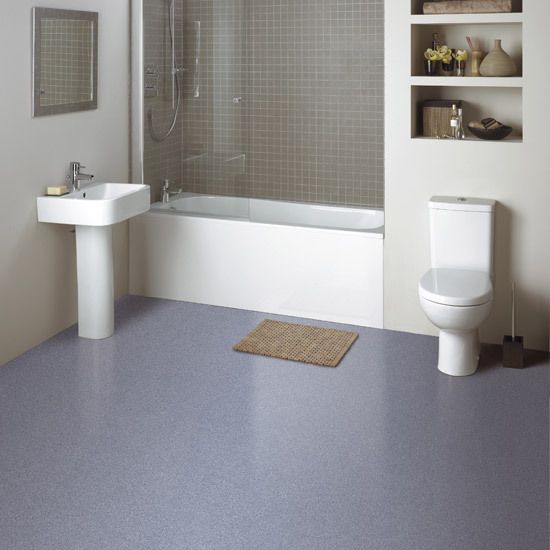 If you're looking for the most durable, slip resistant flooring for disabled bathrooms, you can't go wrong with either rubber or vinyl flooring for a safe, practical choice.